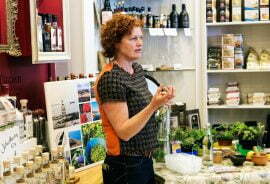 We have been listed on the Tourist Inspiration website as inspired purveyors of fine Scottish food, drink & gifts. It’s been almost five years since we visited Tunnock’s in Uddingston (near Glasgow) and met Boyd Tunnock while on an amazing tour of the factory, but I remember it like it was yesterday. Next time you pop into the shop ask me to describe how the famous caramel wafers are made because it’s truly by hand! Fiona spoke with Mark Ellwood from Condé Nast Traveller about Scotland’s love affair with candy and our wee obsession with sugar. You’ll find a wide choice of edible and wearable greats in a friendly environment where staff are only too happy to let you sample their boozy delights. 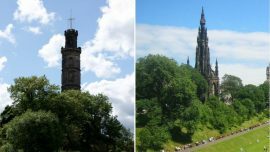 The List has welcomed Cranachan & Crowdie to Edinburgh’s famous Royal Mile with a shout out about the authenticity of their range of Scottish food and drink products. One of our very local producers, Roots Soda, is a testament not only to hard work but a strong belief in making a product to be enjoyed, savoured and not fill us with tons of sugar. Mark and Hannah at Roots Soda are also great supporters of their stockists. It’s such a pleasure to be part of a Scottish Soda Love Fest! Of course we can highly recommend you try each of the sodas in their range…which we just happen to stock. Pop in and pick up a six pack of chilled Roots Soda! What’s In Store For 2016! What’s in store for 2016 you ask? 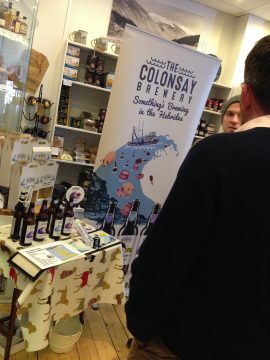 2015 has been the Year of Food and Drink in Scotland and we filled every Thursday with producer pop-ups in the shop. They were popular with visitors and we learned (and tasted) a lot so we plan to continue this throughout 2016. We intend to introduce new and exclusive producers to our customers! We believe we have the largest selection of Scottish products on our shelves and we want to continue supporting small, artisanal producers while celebrating and promoting Scotland’s natural larder and quality produce. If you haven’t already, sign up for our newsletter on our homepage and we will keep you updated about our activities, including private tasting events. We look forward to seeing you again or meeting you for the first time in 2016!